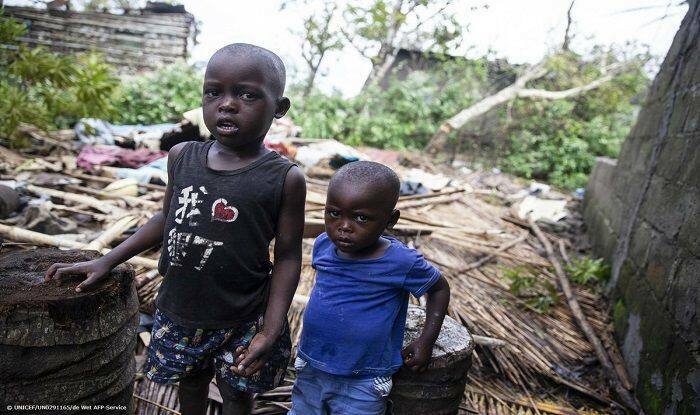 Cyclone Idai which ravaged Africa affected nearly 1.8 million people across the country, including 900,000 children, according to preliminary government estimates. United Nations: The United Nations International Children’s Emergency Fund (UNICEF) urged the international community to provide assistance to the children who were affected by Cyclone Idai. The cyclone Idai which began as a tropical depression in Malawi, forced families from their homes into churches, schools and public buildings. The natural disaster affected nearly half a million children, claimed the lives of 417 people in Africa and has left over 1,500 displaced. “We are in a race against time to help and protect children in the disaster-ravaged areas of Mozambique,” said Henrietta Fore, the Executive Director of Unicef on Saturday after visiting Beira, one of the worst-hit areas by the cyclone. A week after Beira was hit by Cyclone Idai, “aid agencies are barely beginning to see the scale of the damage,” said Fore. She also called for more international support to help quickly get relief to more than 1 million people across the country and prevent the possible spread of waterborne diseases like cholera, reported Xinhua news agency. Meanwhile, on Saturday, UNICEF tweeted, “People have been forced onto rooftops or into trees for hours on end to escape flooding in Mozambique. UNICEF is on the ground providing life-saving support to families affected by Cyclone Idai.” Initial government estimates show that 1.8 million people across the country, including 900,000 children, have been affected by the cyclone which slammed the country last week. “The situation will get worse before it gets better,” said Fore, noting that as aid agencies have now gotten a clearer picture of the devastation, with some reporting that entire villages were submerged, buildings flattened and schools and health care centres destroyed in the days since the storm struck.